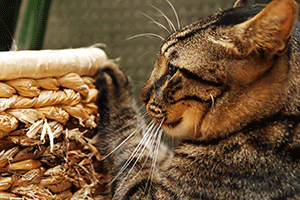 Questions and answers surrounding the health and wellbeing of felines. 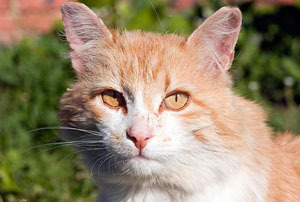 Spayed and neutered cats no longer feel the need to roam to look for a mate. The result is that they stay home and have less chance of being involved in traumatic accidents such as being hit by a car. They also have a much lower incidence of contracting contagious diseases, and get into fewer fights. In females, spaying decreases the incidence of breast cancer (the rate goes down to almost zero if the spaying is done before the first heat cycle). It eliminates the chance of developing a serious and potentially fatal infection of the uterus (pyometra) experienced by many mature, unspayed cats. Spay surgery also eliminates the heat cycle and the attraction of all available males to your yard. The simple fact is that spaying and neutering greatly increases the lifespan of your pet and increases quality of life as well! Heat cycles in cats start as early as 6 months and occur every 3-4 weeks during spring through early fall. The gestation period for cats is 63 days. 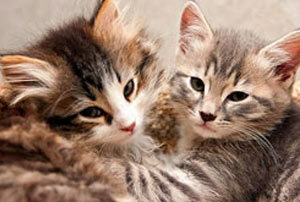 Female cats can become pregnant again as soon as 10 days after giving birth (while still nursing the first litter). Each day 10,000 humans are born in the U.S. – and each day 70,000 puppies and kittens are born. As long as these birth rates exist, there will never be enough homes for all the animals. As a result, every year 4 to 6 million animals are euthanized because there are no homes for them. If you are seeking a spay or neuter program in your area visit our list of spay and neuter programs.